Indie Retro News: SplitWolf 1.0 - The only SplitScreen 2-player coop engine for Wolfenstein 3D! 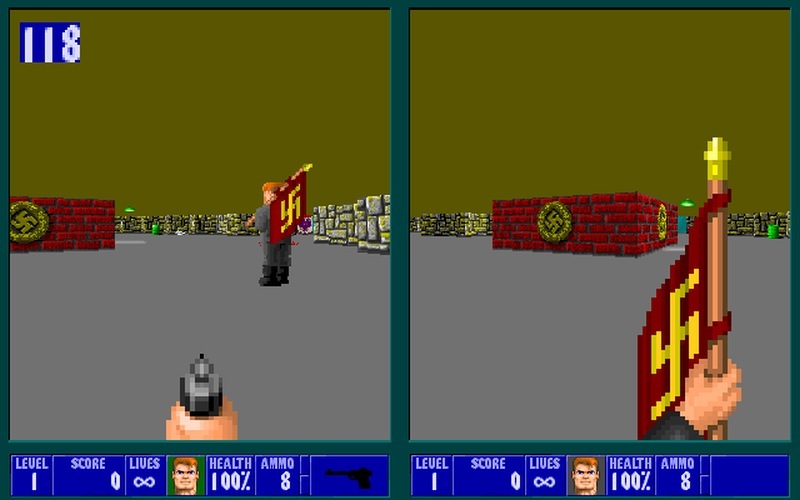 SplitWolf 1.0 - The only SplitScreen 2-player coop engine for Wolfenstein 3D! 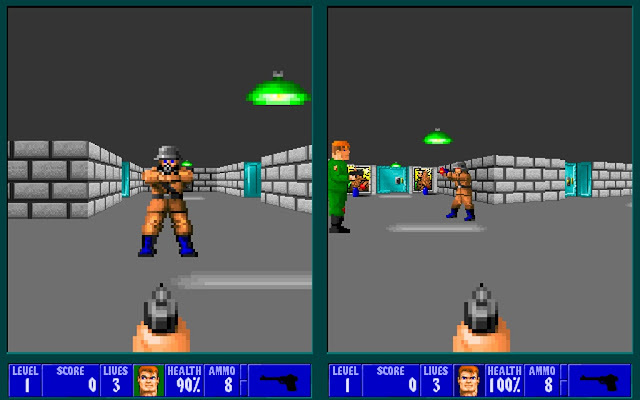 In 1992 ID Software with publishing rights by Apogee Software released the incredible first person shooter ' Wolfenstein 3D ' for MS-DOS. 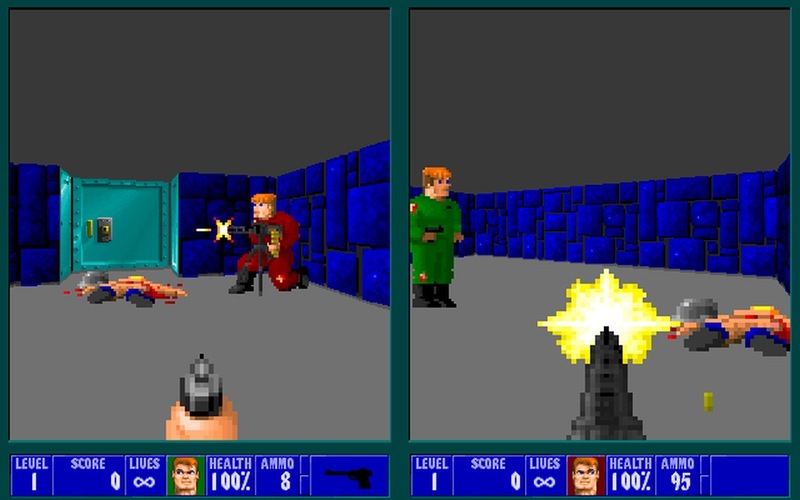 It was the second major release after Commander Keen and featured a unique 3D game engine with multiple enemy types such as Nazi soldiers and dogs, and multiple weapon types to defend yourself with, such as guns and knifes. A critically claimed game for its time with many thousands of copies sold if not millions by now, is just about to get so much better as SplitWolf 1.0, the only SplitScreen 2-player coop engine for Wolf3D has been released! Unlike the original hit game with you playing as the World War II Allied spy William "B.J." Blazkowicz, you can now play with a friend in a 2 player co-op mode on a single PC thanks to Team RayCast, although up to 4 players is supported just not optimised. You'll be able to work with a friend and blast your way through the flat floored levels, killing Nazi scum from all directions, while also seeing your friend doing exactly the same thing! SplitScreen for up to 4 players (currently optimized for 2) in cooperative mode on a single PC!!! (SDL) Support for both vertical and horizontal splitscreen and many special cooperative game modes that add endless replay value and tactics to classic maps. Minimap/radar support. Support of Wolf3D and Spear of Destiny (none of the original files included in the pack). Also new special coop game modes (in addition to classic coop play) and interactive features (including MG42 and 2-player armored vehicle) to add endless replay value and fresh tactic gameplay to classic Wolf3D/Spear maps. - Game Modes include Instagib, Carry the Flag, Harvester and many others. What a time to be a retro gamer, to relive a golden classic such as Wolfenstein 3D but this time with a friend at the very same time!